The radio sales tactics of the past don't hold in the Project 25 (P25) open specification environment. System managers need to understand that the money they spend belongs to taxpayers who expect the best value at every procurement opportunity. When analog trunked radio technology and the Association of Public-Safety Communications Officials (APCO) Project 16 took root in the late 1980s, many began the migration from congested VHF/UHF conventional operations toward 800 MHz and the spectrum efficiencies afforded through the trunking concept. Yet the technology development to support 800 MHz trunking was neither simple nor inexpensive, and Motorola and General Electric (now Harris) were the only two major players that met requirements. The Project 16 standard defined a system framework and not the actual technologies to be used, allowing the two vendors to offer similar but technically different infrastructure not directly compatible at a radio or console level. Thus, a project’s successful infrastructure vendor became the de-facto sole source vendor for any future system or equipment updates for Project 16 technology. Absent the leverage of a competitive procurement cycle, where multiple vendors compete to provide the necessary goods and services, Project 16 system owners paid far more than what the equipment and services should cost, but had no alternatives. This shortcoming didn’t go unnoticed when work commenced on the digital P25 radio standard. The focus of P25 was to fully define a technical framework for future digital radio networks requiring cross licensing of essential operational aspects among multiple vendors to create a level playing field that would benefit the user community and restore users’ abilities to procure radio systems and system elements through spirited competition. The volunteer-based P25 development effort progressed slowly until events following Sept. 11, 2011, when the federal government selected P25 as the standard for the conversion of analog to digital radios. With billions of dollars allocated for the migration of federal radio systems and numerous homeland-security grants in the pipeline for enhanced public-safety interoperability, P25 got the financial stimulus to engage the attention of many radio equipment vendors. Five radio vendors — Motorola Solutions, Cassidian, Harris, EF Johnson Technologies and Tait Radio Communications — supply and support the most complex P25 technologies: linear simulcast transmit/receiver voting. More than 14 vendors manufacture P25 mobile and portable radio products. 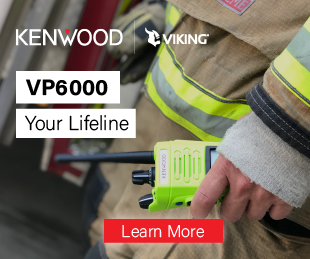 While the majority of trunked radio systems in operation are still based on Project 16 analog technology, nearly all new public-safety system deployments are P25 compliant. Vendors are migrating away from supporting Project 16 analog because it’s expensive to support multiple radio technologies. This is great news for the public-safety radio marketplace consumer. No longer does a system owner remain tied to a single radio equipment vendor. This newfound ability to secure digital radio infrastructure and user equipment allows owners to leverage the advantages of head-to-head competition. New P25 infrastructure vendors are eager to chip away at the incumbent vendors’ market share. Some newcomers are approaching the market through aggressive pricing and software service incentives that traditionally have been expensive. Of course, there is a risk to buyers through the temptation of an unbelievably low price, particularly if the new vendor has few completed system deployments to showcase. Important questions when considering low-price offers are whether the vendor will stick with the implementation if self-induced adversity arises and if the project will be concluded on time or ever. In tough economic times, some eager users are willing to take a vendor risk unheard of a year ago. Other vendor newcomers are providing users with a broad range of equipment choices, offering radio equipment outside of their own manufacturing sphere. The age of open standards brings a new set of cost-saving opportunities for system owners. Needless to say, major vendors are aggressively protecting their existing clients and offering migration pathways geared toward a stepped P25 migration. Generally, these pathways are presented in the form of unsolicited proposals. An unsolicited proposal is normally absent of any performance specifications and owner safeguards, as would be developed by independent radio consultants. In fact, some radio vendors offer free engineering and discourage the use of independent consultants. Free engineering service often translates to free access to a system owner’s wallet. When viewed in the correct context, unsolicited proposals are useful to radio system managers to gain insight about what can be reused in their existing radio configurations. And system owners gain a fundamental understanding of how complex and costly a migration could be. In addition, the vendor’s information could be helpful in securing downstream budgetary project funding. That said, purchasing a radio system patch or modernization upgrade via an unsolicited proposal is akin to walking into a car dealership, throwing your checkbook on the hood of a car and paying window-sticker price. Who would ever do that? Many system owners strangely do. The reason often cited is pressure. Owners are told repair parts are no longer available for a key component, such as a trunked system controller or base station, and if they don’t commit to an upgrade purchase in a short window of time, they’ll lose their chance. The fear that drives this sale is risk that an embarrassing failure could occur on a manager’s watch. The option of exploring the vast secondary equipment marketplace for repair parts is seldom mentioned. Others are maneuvered into a downstream sole source P25 technology upgrade because a salesman might sell a seemingly innocent component that has far-reaching tentacles. Many conventional radio system owners were sold a radio dispatch console capable of trunked operation. Then, a modest console equipment sale can be leveraged as justification for a many-million-dollar sole source radio network. In reality, competing vendors would eagerly eat the cost of a trunked-capable console and potentially far more to secure a new client. These unsolicited proposals can be inventive. A major vendor was recently successful in securing a no-bid P25 conventional VHF radio award from a coastal Florida prospect to the tune of $14 million. The most significant aspect that drives a sole source procurement for a P25 conventional radio system is the vendor’s nameplate. The biggest loser whenever unsolicited proposals are used by public-safety agencies to circumvent the competitive procurement process remains the taxpayer. Now that many viable radio supplier alternatives are available, sole source procurements make no sense. During the past seven years, when brought in to assist clients in procuring new or enhanced radio systems, by leveraging competition, our consulting company has routinely seen discounts in excess of 25 percent from published equipment prices and no less than 15 – 20 percent on any unsolicited proposal. Other professional consulting firms can point to similar results. How any public-safety agency accepts an unsolicited radio modernization proposal at face value remains an enigma. Dominic (Nick) Tusa is founding partner of Tusa Consulting Services, a public-safety radio consulting firm in Covington, La. Email comments to editor@RRMediaGroup.com.